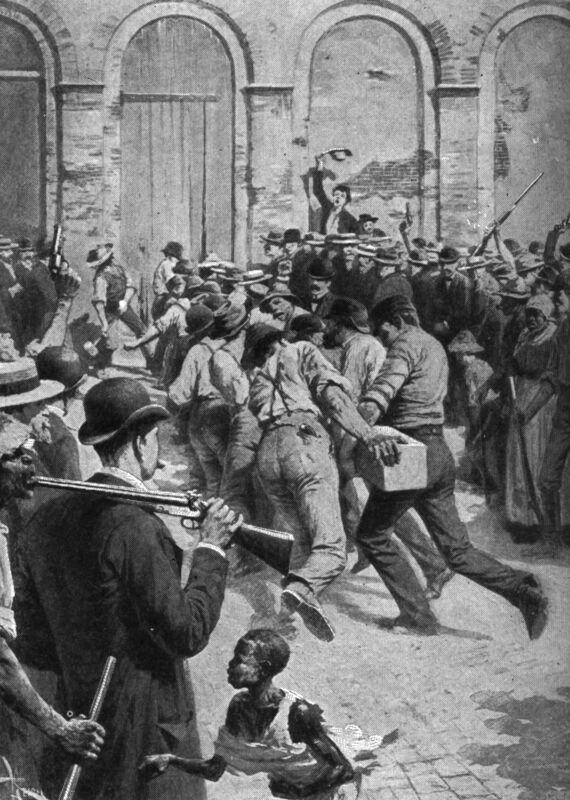 “The little jail was crowded with Sicilians, whose low, receding foreheads, dark skin, repulsive countenances and slovenly attire proclaimed their brutal nature.” – newspaper report about the 1891 lynching of Italians in New Orleans. MTV's "Jersey Shore" Proof that the victims of the 1891 lynching died in vain. Sound like a pack of animalistic criminals…or those overcoiffed wastes of space on a certain new show on MTV? MTV’s “Jersey Shore” is not one of my favorite shows. The fact that every clown featured on this show is Italian-American does bother me, a lot. Old stereotypes of greasy, illiterate and violent “guidos” have come raging back to the surface—stereotypes that should have been buried with the last episode of “The Sopranos.” Would it kill these idiots to put on Brooks Brothers suits and take diction lessons once in a while—they got the money for it, after all. Lastly, there’s a problem with nomenclature. I’m sorry, Snooki, but “guido” is not a term used with pride. Along with “guinea”, “wop” and “greaseball”, it denotes a time when Italians were treated as second-class citizens, often discriminated and seldom respected until we gradually assimilated into American society. Yet I’m not here to bury the show. Snooki and The Situation can use all the sunscreen they want. It makes no sense to knock on a show that has gained a loyal following, albeit a slightly depraved following. Instead, I’m here to offer a more proactive, positive solution to this problem. Instead of violent thugs and lecherous buffoons in hair gel, let’s provide Hollywood with positive stories about the struggles and achievements of Italians—ones that are not in the Mafia, affiliated with the Mafia, aspire to look like Mafiosi ,nor entertainers whose benefactors may or may not be Mafiosi. This covers just about everyone from Al Capone to Frank Sinatra. 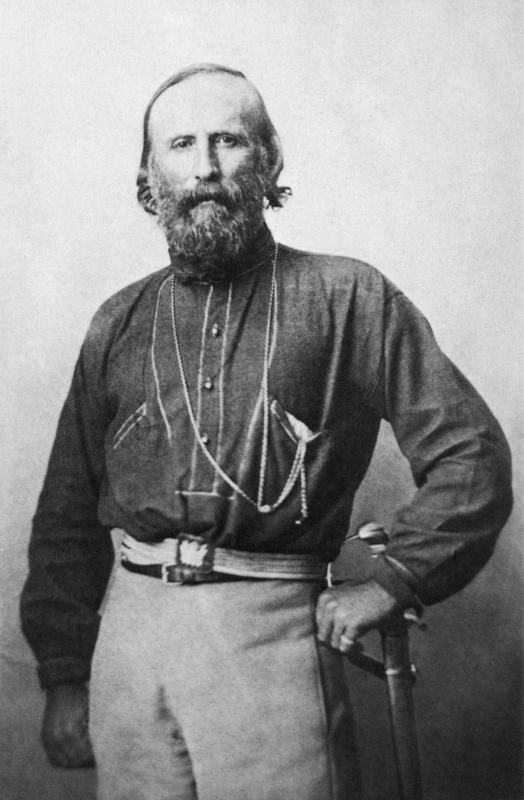 Giuseppe Garibaldi – I don’t know why Hollywood hasn’t done a film about Garibaldi, because his life is tailor-made for an epic. Leader of revolutionary movements in Brazil, Uruguay and Italy, Garibaldi is considered Italy’s greatest national hero for his daring military exploits—often against incredible odds. The British historian A.J.P. Taylor called him “the only wholly admirable figure in modern history,” and was the symbol of Italians worldwide in the 19th century. He was even considered to lead the Union Army during the American Civil War. All without hair gel or gold chains. 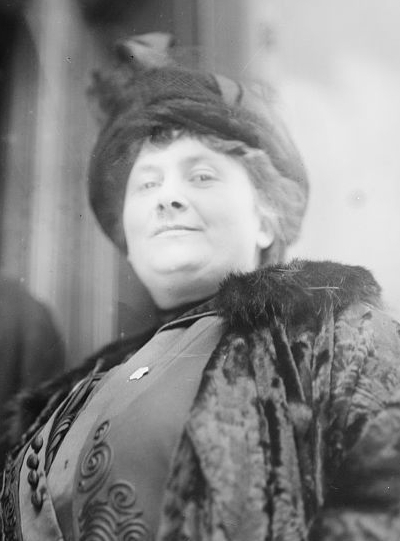 Maria Montessori – Maria’s great for that gritty classroom drama, “Blackboard Jungle” Italian-style. This groundbreaking educator and writer still impacts classrooms today. Project-based learning, cognitive development, differentiated instruction: all have some influence from Montessori’s work with poor children in Rome in the late 19th and early 20th century. Her work is especially timely since many of the “Jersey Shore” folks suffer from a decided lack of schooling. If you have any doubt, read Snooki’s expletive-laced tirade against the sponsors who dropped her show. Philip Mazzei – this Italian scientist and liberal thinker could make a great biopic involving the American Revolution. In 1773, Mazzei and a group of Italians go to Virginia to introduce Mediterranean crops like grapes and olives. He develops a close relationship with Thomas Jefferson, so much so that the phrase “all men are created equal” in the Declaration of Independence was lifted almost verbatim from Mazzei’s writings. He also served as a secret agent, smuggling arms to Virginia through the Revolution. He also wrote one of the first histories of the American war of independence, published only two years after the end of the war. 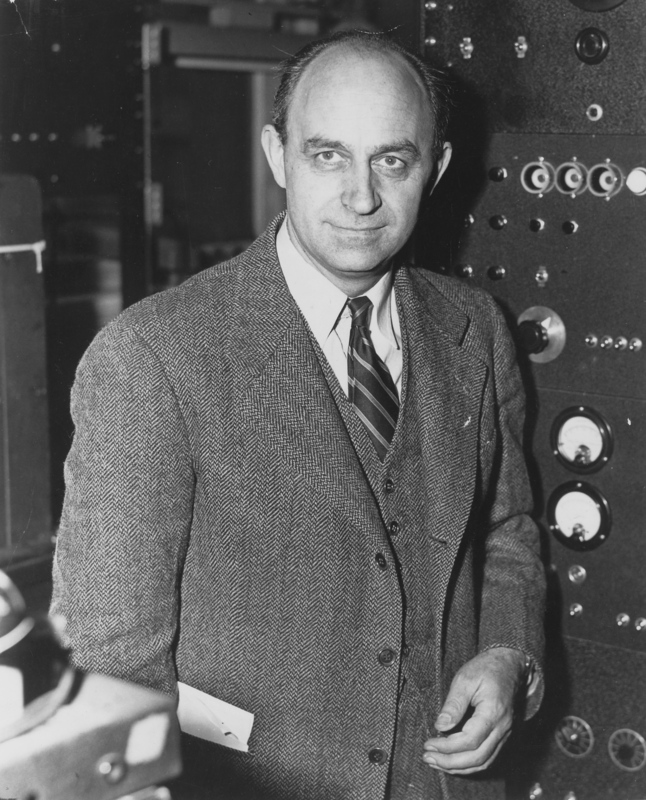 Enrico Fermi – If John Nash got the Hollywood treatment, then Fermi’s definitely due. The Nobel Prize-winning physicist, who created the first nuclear chain reaction, was an incredibly compelling personality. He excelled in experiments and in the classroom. His work on the atomic bomb stemmed from his own experience fleeing Fascist Italy due to government persecution and new anti-Semitic laws (his wife was Jewish). Lastly, the guy knew that his work on nuclear reaction meant a premature death, which he accepted with humility and humor. It’s got Oscar written all over it. Let’s work to give our people the role models they deserve. At the very least, let’s show the morons on “Jersey Shore” that Italians can do a lot more beside cause holes in the ozone layer with their hair products.